As major mortgage lenders near an agreement that would allow borrowers with weaker credit and smaller down payments to take out mortgages, it is essential that the mortgage industry stay in compliance with the Servicemembers Civil Relief Act. 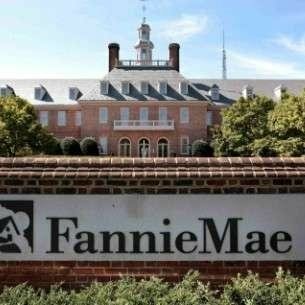 Fannie Mae, Freddie Mac and mortgage lenders are close to an agreement that would remove barriers and restrictions on subprime borrowers, according to The Wall Street Journal. The two government-backed mortgage giants are also considering a program that would make it easier for lenders to offer mortgages with down payments of as little as 3 percent. While regulators and White House officials point out that these moves would expand access to mortgages for borrowers who have been priced out of the market since the great recession, critics are concerned that this could amount to a repeat of the mistakes that caused the housing crisis. Fannie Mae and Freddie Mac are mortgage backers, not lenders. Their function is to purchase mortgages, package them together into securities and guarantee to make investors whole if borrowers default on their loans. During the housing crisis, too many loans were given out to borrowers who couldn’t realistically afford to repay them. When the housing “bubble” – a temporary increase in housing values above their real market value – burst, many borrowers were left “underwater.” A borrower is considered to be underwater if the current market value of his or her home is less than the amount left to repay on the loan. For example, say a borrower purchases a home for $500,000 with a 5 percent down payment if $25,000. Shortly thereafter, the housing market collapses, meaning that the home is worth $400,000, but the borrower still owes $475,000. In ordinary circumstances, when a borrower experiences a negative life event, like job loss, illness, etc., that borrower can sell his or her home to get out of a mortgage. An underwater borrower doesn’t have this option, because he or she would still owe money even after the sale. When too many borrowers defaulted on their loans, Fannie Mae and Freddie Mac were close to becoming insolvent because of the guarantees they had made on subprime loans. The government stepped in, placing the companies into a conservatorship. There have been a number of questions as to what should be done about the still-government-controlled mortgage backers, but this move serves to demonstrate just how dependent on the companies America still is. While critics of this recent agreement are concerned about the possibility of eased lending standards having an adverse affect on the foreclosure rate generally, those in the mortgage industry should be concerned in particular with the possibility of SCRA violations. The Servicemembers Civil Relief Act makes the collections and foreclosure processes more complicated in many respects, necessitating a special focus on compliance with this important law. As Mark Calabria, director of financial-regulation studies at the libertarian Cato Institute pointed out to the Journal, lower down payments can be dangerous for less-qualified borrowers. For regular borrowers who default on their loans, banks are well accustomed to their local foreclosure processes. For borrowers with active military status, there are a few additional requirements to be aware of. Required judicial foreclosure – Some states require judicial foreclosure, in which the process is completed through the courts, for all borrowers. Others have no such requirement. For those protected by the SCRA, however, a judicial process is always required. If a lender forecloses without a court order on a borrower who is on active military status or who has been in the past year, that sale is invalid. According to NOLO, this after-service period will be reduced to 90 days starting next year. Even threats to foreclose without a court order are illegal. Mandatory stay – Borrowers with active military status may also request a nine-month stay of proceedings in foreclosure cases. This stay is mandatory and does not depend on the specifics of the case. After this point, the court may choose to further delay proceedings if the servicemember’s duty makes it too difficult for him or her to represent his or her civil interests in person. Reopen-able default judgments​ – If a borrower fails to respond to a foreclosure lawsuit, a default judgement may be made against him or her. Should that judgement be entered while the borrower is on active military status or 60 days thereafter, however, he or she can reopen the judgment. Servicemembers have a nine-month period after release from active military status to take action in this regard. Capped interest rates – Finally, there is a cap on the interest rates that can be charged on debts to servicemembers. Keep in mind that this only applies to debts taken out before the servicemember went on active military status. This cap is 6 percent, meaning that it only rarely applies to mortgages made in the current low interest rate environment. As the Federal Reserve increases its benchmark interest rates, however, mortgage interest rates will correspondingly increase, and this cap will become an important compliance focus for lenders. To gain access to this interest rate, servicemembers must submit a written request that includes a copy of their orders to active military status. This applies to payments already made, which must be refunded to reflect the lower rate, and can be requested up to one year after the end of the servicemember’s active military status. As lenders open up lines of credit to less qualified borrowers, it is essential that they be ready for any compliance issues that arise as a result of the higher number of buyers who will be at risk of default. The first step is to verify military status, and the Servicemembers Civil Relief Act Centralized Verification Service can help.